It’s curious how some of the smallest things can have the biggest impact. A couple inches here or a few degrees there can mean the difference between an everyday occurrence and a life-altering event. Charlie, a former Marine and Strongman competitor, learned this lesson first-hand three years ago. Enjoying a warm summer day on a boat with his fiancé and three daughters, Charlie dove off the bow into the tepid waters off the Gulf of Mexico. It was a dive he had made a dozen times before, however the smallest difference in perhaps inches or degrees made this one tragically different. Charlie’s head hit the ocean floor with the full force that his 260-pound weightlifter’s frame brought with it. After a definitive ‘pop’, Charlie floated to the surface. A day before the dive, Charlie set a personal best by completing a 325-pound overhead press in a Strongman competition. Now, struggling to float, Charlie couldn’t lift a finger. In fact, he was having trouble feeling anything at all. 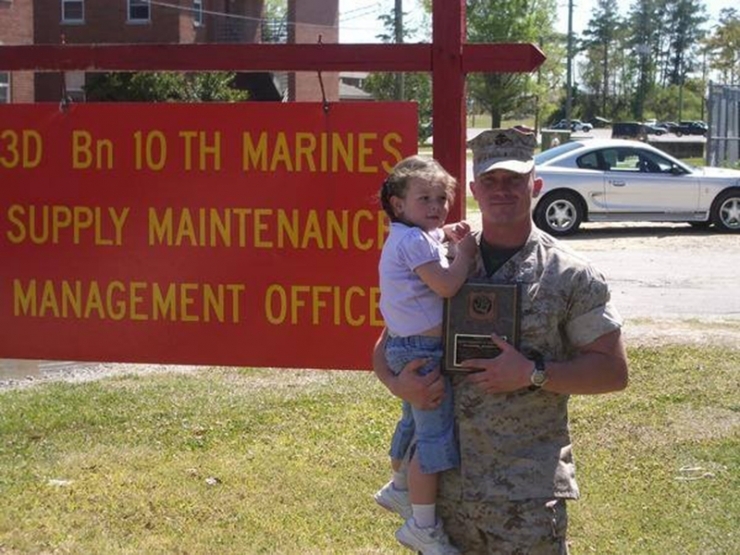 Prior to the accident, Charlie served over 10 years in the Marine Corps. After ending his active service, Charlie began dedicating his free time to training for Strongman competitions. Here, Charlie is completing a 700-pound yoke carry. If you look closely, you can see the boat off which he would jump a few months later, changing his life forever. 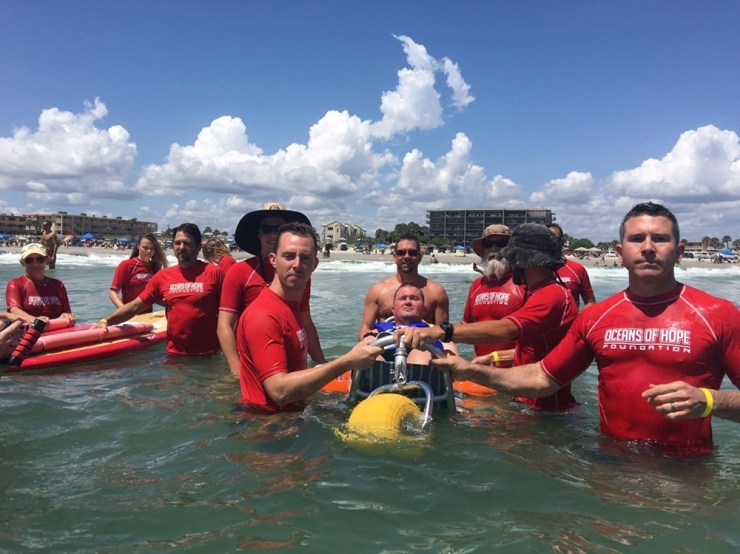 The `pop` Charlie felt in the gulf waters on August 23, 2014 was his neck breaking. 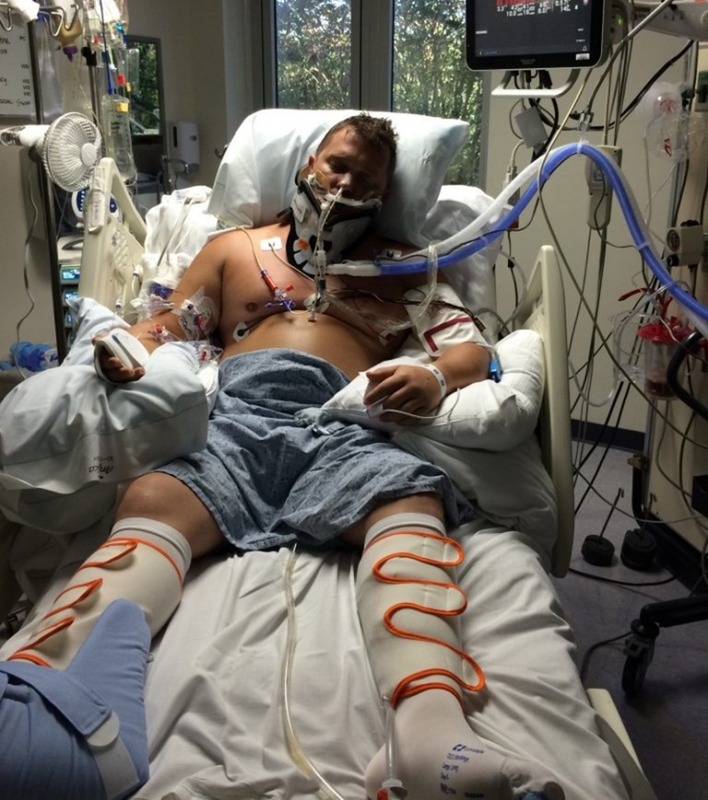 Charlie had suffered a spinal cord injury at the C-3 vertebrae, meaning he no longer had movement or sensation below his shoulders. In the weeks that followed the accident, Charlie flat-lined over a dozen times in the hospital. Every single time, the doctors were able to revive him. Something was keeping him here — something unresolved. Charlie’s positivity, perseverance and hard work began to pay off. Over time, doctors started removing the dozens of machines Charlie relied on for survival, all with positive results. Doctors even removed Charlie from the ventilator to see if he could breathe on his own — which would be extremely rare for a C-3 paralyzation. Charlie took his first unassisted breath in months and has been breathing on his own ever since. Count weight lifting among the list of things Charlie shouldn’t be able to do. Yet, here he is, doing what he loves. Electric impulses are sent to his triceps, allowing him to bench press. 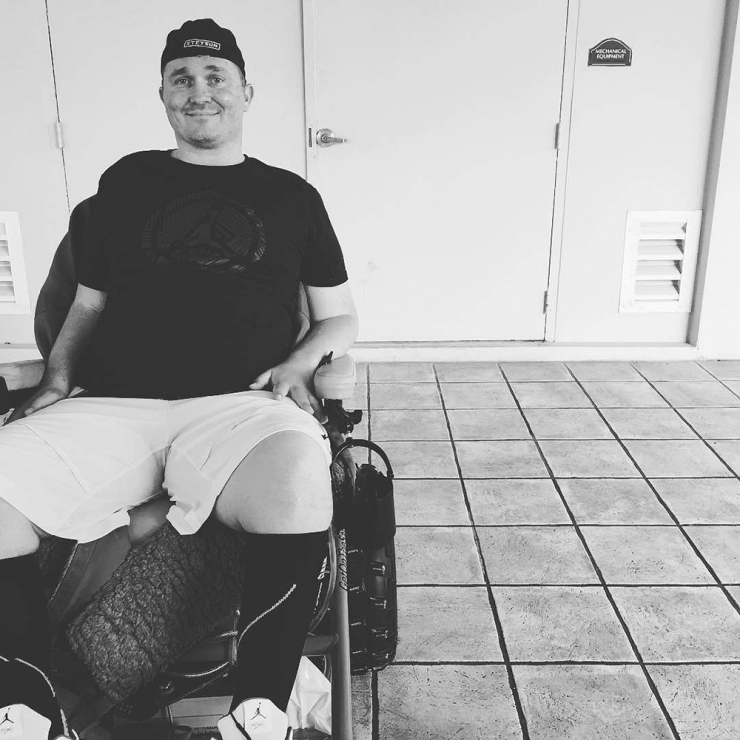 Charlie’s biggest drive is to help paralyzed veterans and individuals live their lives to the fullest. 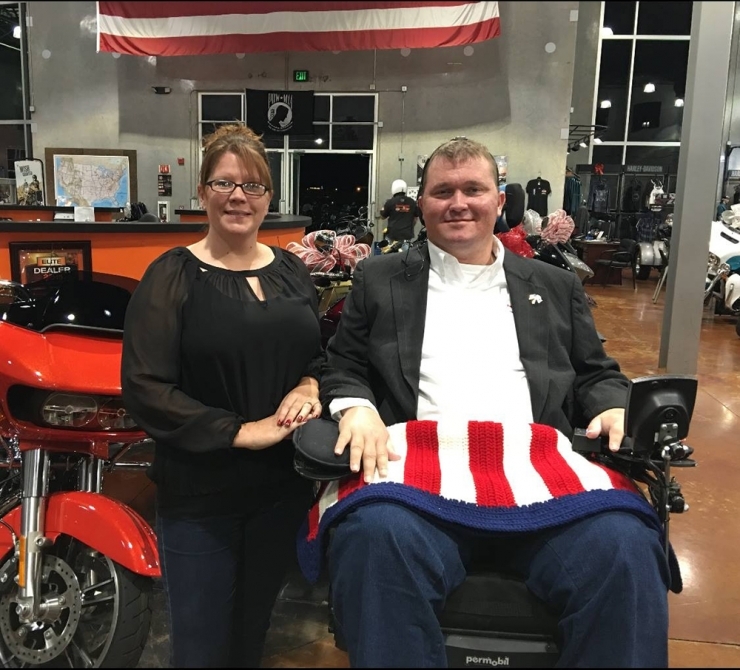 He now serves on the Board of Directors for the local chapter of the Paralyzed Veterans of America (PVA). 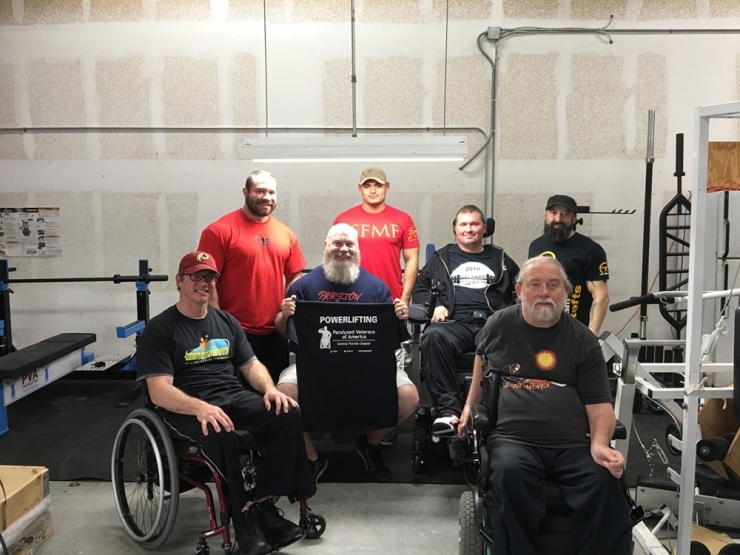 He even started a powerlifting program for paralyzed veterans in Florida. Throughout this unexpected journey, Charlie’s fiancé, Tina, has been by his side. Tina does much of Charlie’s caretaking with a smile on her face. You can imagine that this is no easy feat considering that Charlie is back up to his 260 lb. pre-accident weight. We talked to Tina and Charlie on the phone recently and asked them if there was anything we could do to improve their quality of life. There was a short pause before both blurted out at the same time, “a bed!” They explained that Charlie has been sleeping in a hospital bed since his accident. Charlie needs to be raised and lowered to assist with deterring pressure wounds. 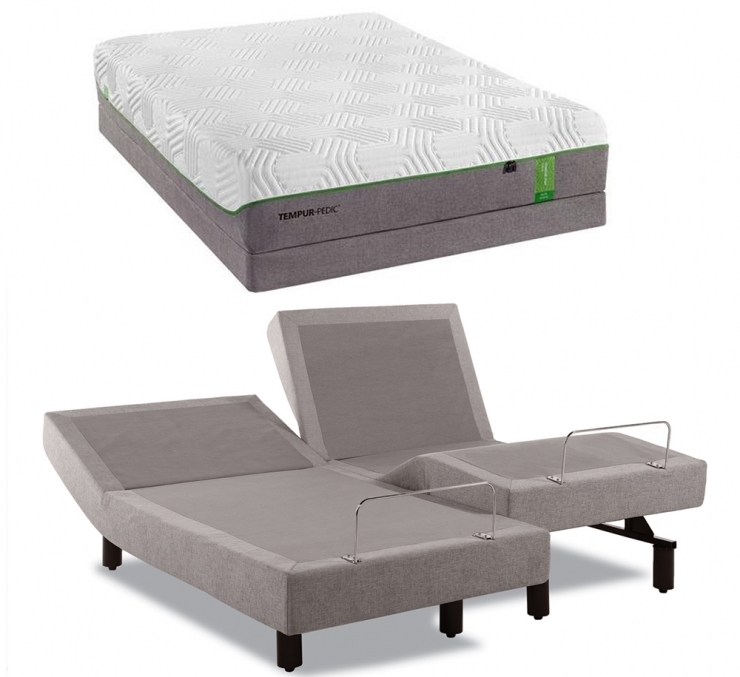 Chive Charities and the Green Ribbon Fund donors are granting Charlie a Tempur-Ergo flexible king-size bed. For the first time in three years, Charlie will be able to sleep in the same bed as his incredible fiancé. I also asked Tina how she gets Charlie up and about each morning. She responded with, “it’s complicated.” The couple currently has a floor lift that Tina uses to lower Charlie’s body into his wheelchair. I’ll spare you the finer details, but just know that the process includes perching Charlie’s body precariously over the edge of the lift, lowering, shimmying and repeating until Charlie is in his wheelchair some time later. 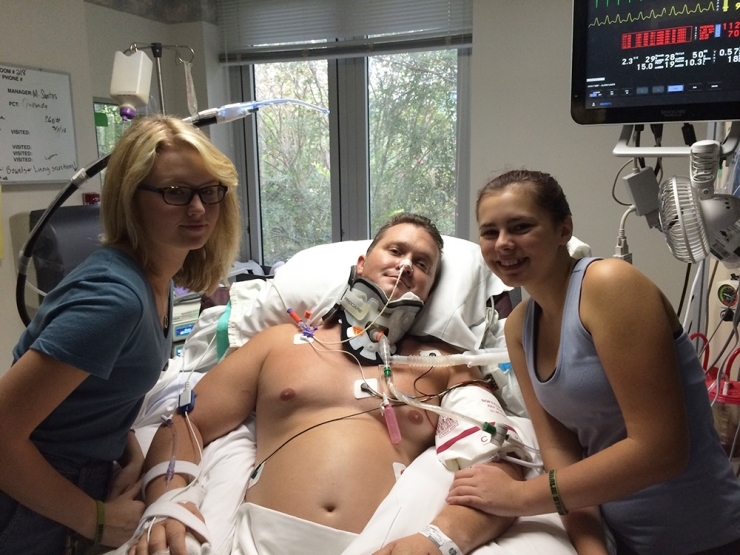 In addition to the adjustable bed, the $22,000 grant will cover a ceiling lift for the couple. 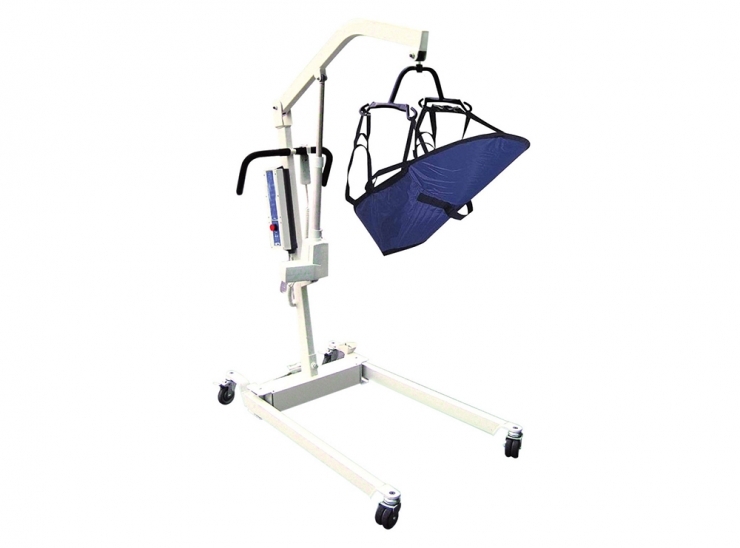 The lift will make the process of getting up simpler, safer and quicker. Charlie has more important things to do than spend over an hour every morning getting out of bed and ready for the day. That sounds like great advice for anyone looking to smash life in the face. To support more underdogs like Charlie in their quest to defy the odds, consider a monthly donation to the Chive Charities Green Ribbon Fund.